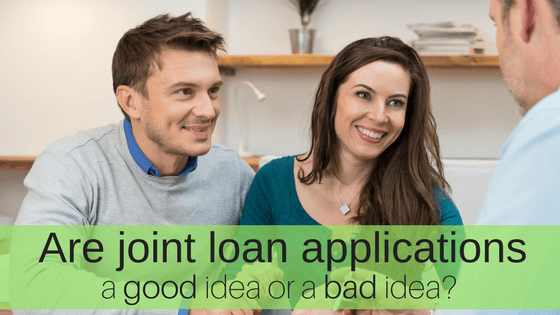 Is a Joint Loan Application Better than Single? 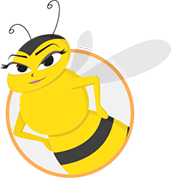 Home » The Buzz » Debt » Is a Joint Loan Application Better than Single? 5 questions to ask as you compare financing options for a loan application. There are a number of choices you need to make when you apply for a loan. If you’re married, one of the biggest choices is whether to complete a joint loan application or apply on your own. There’s no requirement to apply jointly with your spouse. So, when is it the right choice and when are you better off going solo? Credit score is the key to answering this question. However, there are also a few other considerations that you need to make. Here’s how to decide how to apply for a loan as a married couple. Question No. 1: What credit score is needed to qualify for the loan? Most lenders have a minimum credit score requirement when you apply for financing. That score may vary based on the type of loan you wish to take out. Personal loans are generally easier to qualify for that mortgages, but may have tougher requirements that private student loans. Credit score lending requirements also vary by lender. Some lenders just have stricter standards for approval. So, you need to ask about credit score lending requirements as you get quotes from lenders. As you shop around for the best rates and terms to fit your needs, ask about each lender’s scoring requirement. This can help you decide if you submit a joint loan application or single. For example, if a lender has a minimum FICO score requirement of 700 and only one spouse has a score above that, apply single. If both of you are above the requirement, then it may make sense to apply jointly. Question 2: Does joint application affect the interest rate? 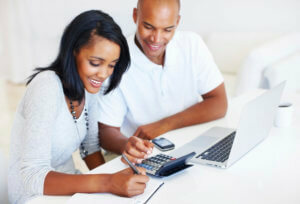 If you or your spouse has a low credit score, then applying together will mean you pay a higher interest rate. Even if a lender has relaxed lending standards and you can get approved with fair credit, it changes the rate. Weaker credit always means you pay a higher interest rate on a loan. So, if your combined credit score is significantly lower than one spouse alone, you need to consider interest charges. The key is to figure out how much the difference in rate affects the cost of a loan. A higher interest rate not only affects the total cost of a loan, it can change the monthly payments, too. So, you need to find a good loan calculator online and run some numbers. Consolidated Credit actually offers a Credit Score Loan Cost Calculator for free. It basically estimates the loan cost difference based on credit score for mortgages, auto loans and personal loans. Compare loan cost between the spouse with the low credit score versus the partner with the higher score. Question 3: Will the loan help the bad credit spouse build credit? If you can get approved together and the cost is not significantly more, then you may want to file jointly. There’s good reason to do so, because the new financing will help the spouse with the lower score build credit. 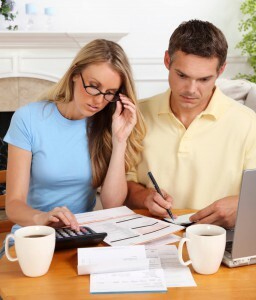 As you pay back the loan, both spouses will build positive credit history on a good debt. This means that in the future you can apply jointly with less concern over the first two questions. Question 4: How does the joint application affect your debt-to-income ratio? Besides credit score, debt-to-income (DTI) ratio is one of the most important determining factors in loan qualification. Your DTI must be below 41% to qualify for a loan in most cases. Some lending options allow you to have a ratio between 45% and 50%. If your ratio is above what the lender requires, they reject your loan application. This means you need to consider how each spouse’s income and debt will affect approval. If the spouse with the lower credit score has no debt and a full-time job, they help DTI. If they only work part-time and have tons of credit card bills, they hinder it. Question 5: For debt consolidation, who holds the debt? The final question only applies to debt consolidation loans. This is a personal loan you take out for the purpose of paying off existing debt. There are consolidation loans for credit cards and student loans; you usually must consolidate them separately. You can only use the funds from a consolidation loan to pay off your own debt. You can’t take out a consolidation loan and pay off your spouse’s account if you’re not at least a cosigner. So, account holders matter as you consider a joint loan application. For example, if both spouses hold private student loans individually that you want to consolidate, then you must apply together for private student loan debt consolidation. A note on cosigners versus joint applicants. There is a key difference between joint loan applicants and cosigners. In both cases, both parties are responsible for paying back the debt; you’re jointly liable, even as a cosigner. However, a cosigner does not have rights to the funds from a cosigned loan. This means you can use a joint consolidation loan to pay off a cosigned debt. But you can’t cosign a consolidation and use the funds to pay off the cosigner’s debt.